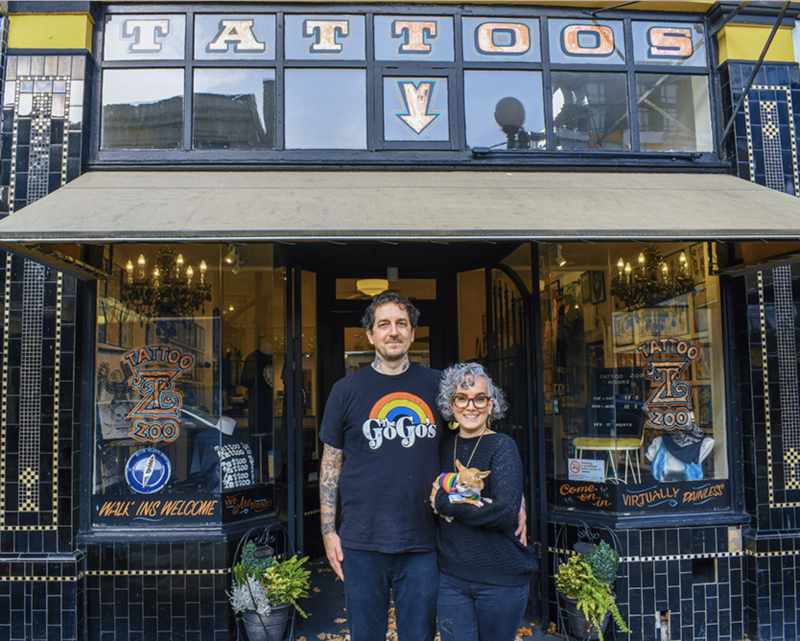 TATTOO ZOO – Shop Local. Eat Organic. Be Nice. Get Good Tattoos. Since 1994 Tattoo Zoo has built a reputation for being one of Victoria’s premier tattoo studios. We are located at 826 Fort Street in the heart of Downtown Victoria. If you have trouble finding us please click HERE for directions! WE DO NOT DO E-MAIL CONSULTATIONS!! We provide our clients with a clean, safe, comfortable environment where our fun dedicated team of professional artists provide the highest quality body-art in all styles. This includes new tattoos as well as cover-up or restoration of old or poor tattoos. Shop local. Eat organic. Be kind. Get good tattoos.